While your dog is boarding with us you can enroll your dog for force free training during the course of the day. This applies to all breed of dogs. Training: includes working on basic behaviours like, sit, down,stay,lead walking,leave cue,sit on your mat/bed,come when called and not-jumping on people depending on your requirements. This will be dependent on what each individual dog needs and are able to do daily. Not all dogs learn at the same pace some dogs have a short attention span and others learn very quickly. For very fearful dogs more time might be needed of a minimum of 2 - 3 weeks before being able to work on basic behaviours as listed above. Behaviours like barking and jumping can only be worked on if the dog actually shows the behaviours here. Board and train is for a minimum of 5 working days - (Mon-Fri) @ R1200 excluding boarding which is an additional cost at our regular boarding rates. 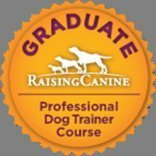 After which we spent 30 minutes with you when collecting your dog at the end of day 5 to discuss the training that has been done and should be an ongoing process at home. Remember training a new behaviour to a dog takes up to 3 weeks to be established when trained daily, so we lay the foundation and show you what to do at home. Some behaviours are "fixed" in these 5 days, but it is not a guarantee. Visit our training service page for more information about our Husky Specific Behaviour training and our reactive dog training classes. 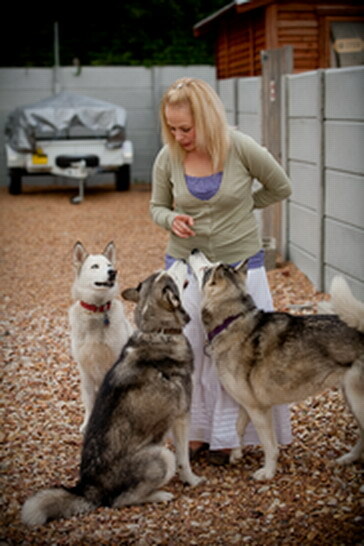 You can also add day care to your dogs stay with us if possible and your dog is socialised.